TORONTO, June 15, 2018 – Two Canadian accountants, formerly senior executives at Penn West Petroleum Ltd., now known as Obsidian Energy Ltd., have lost their bid to dismiss charges of accounting fraud by the U.S. Securities and Exchange Commission (SEC). Takeyasu had been Penn West’s chief financial officer and Curran reported to him as vice-president of accounting and reporting. Both are CPA, CAs and members of CPA Alberta, which is precluded by provincial legislation from disclosing any conduct matters which have not been adjudicated, including whether there are any ongoing complaints or investigations involving any particular individuals. CPA Alberta, however, did inform Canadian Accountant that there have been no findings of unprofessional conduct against Mr. Curran or Mr. Takeyasu in Alberta. If a guilty finding was reached, then the results, including names, are made public. artificially curb the company’s operating expenses and lower the reported expenses per barrel of oil equivalent. That scheme involved dumping operating expenses into the well of capital expenditures and royalty payments, regardless of any proper basis for such reclassifications. To supplement this practice, Takeyasu and Curran are also accused of artificially inflating the company’s operating expense account and releasing portions of accrued reserves when needed to cancel out operating expenses that were actually incurred. Artificially reduced operating expenses were reported publicly until the second quarter of 2014, when new management took over and Penn West was forced to publicly restate its financial figures. Following the appointment of a new chairman and CEO respectively in 2013, the company terminated the employment of Takeyasu and Curran in 2014, and within months restated its financial figures. In 2017, Penn West changed its name to Obsidian Energy and appointed Ernst & Young as its auditor. 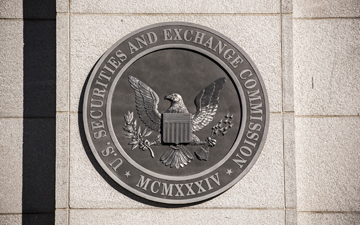 The company announced a US$8.5 million settlement the SEC, without admitting or denying any of the factual allegations in the SEC's complaint. David French, Obsidian Energy's President and CEO commented: "Our settlement resolves this legacy Penn West issue, and we are focused on looking forward as a new company. We appreciate the open dialogue with the SEC Staff, which led to this conclusion."